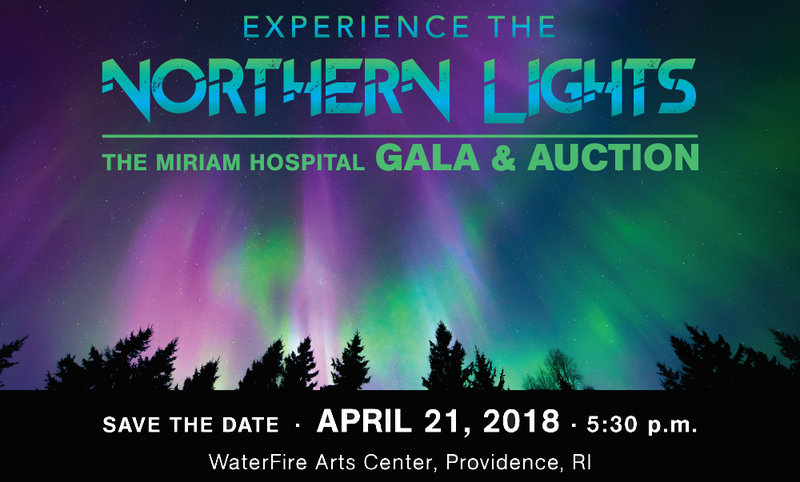 More than 550 guests filled the WaterFire Arts Center in Providence on Saturday, April 21, when The Miriam Hospital hosted its 2018 gala and auction, Experience the Northern Lights. 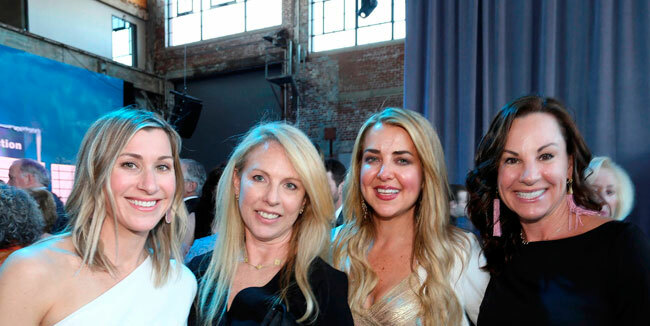 Representing the hospital’s largest and most critical annual fundraiser, the event inspired by the grandeur of the Aurora Borealis raised $783,195. 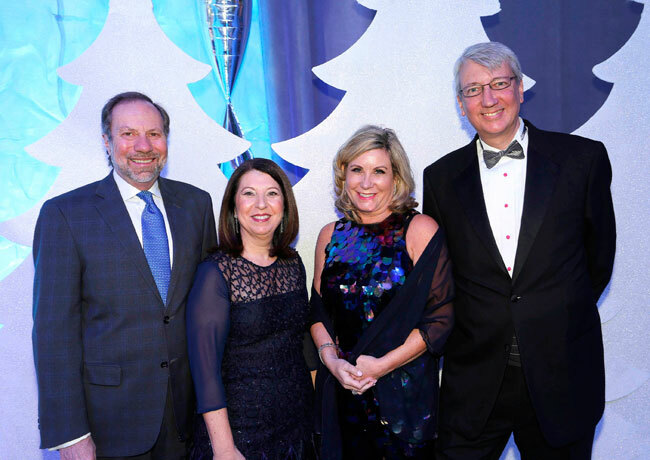 Left to right: Arthur J. Sampson, president of The Miriam Hospital; Susan H. Kaplan, chair, The Miriam Hospital Foundation Board of Trustees; and Robin and Marcus Ansell, chairs of The Miriam Hospital’s 2018 gala and auction, Experience the Northern Lights. The funds will benefit The Miriam Fund for a New Generation in support of the hospital’s greatest and most pressing needs, along with helping to advance its palliative care program, part of The Miriam’s renowned oncology services. 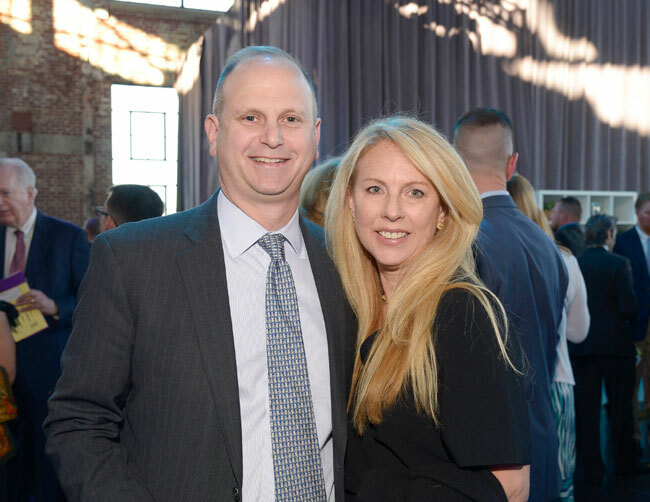 Of the total raised, the event’s auction and fund-a-need generated $403,450 to support the addition of another nurse practitioner to the palliative care team at The Leonard and Adele R. Decof Family Comprehensive Cancer Center at The Miriam Hospital, part of the Lifespan Cancer Institute. Co-chaired by Robin and Marcus Ansell, the evening of illuminated sensations began with a special cocktail and hors d’oeuvres reception, followed by remarks from hospital leadership. 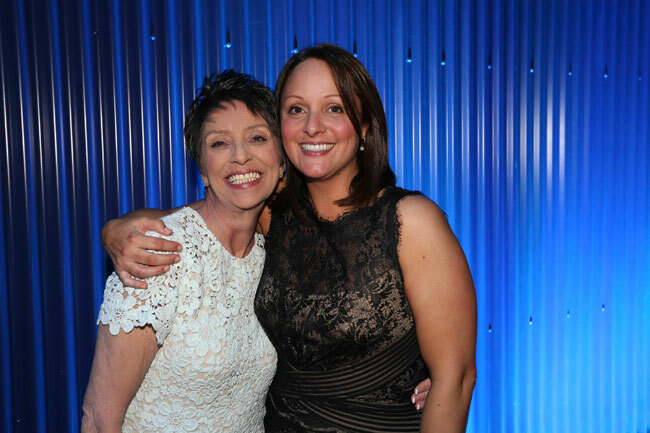 Guests were then introduced to Dawn Shippey, a Miriam patient who shared her journey with lung cancer and the difference palliative care made – emotionally, mentally, and physically – on her road to survivorship. Dawn Shippey (left) and Angela Taber, MD, medical oncologist and palliative care specialist (right), at Experience the Northern Lights. During the event, Dawn, a patient of Dr. Taber’s, shared her journey with lung cancer and the difference palliative care made on her road to survivorship. “The Miriam is a place of ‘yes,’ where scientists search for answers to medicine’s most vexing questions and where second-to-none caregivers treat you as if you were family,” said Marcus Ansell. 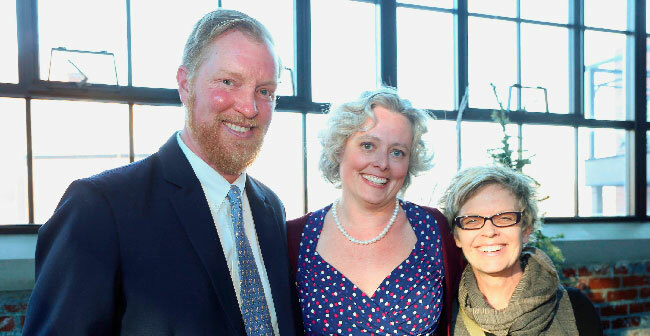 “But above all, The Miriam is a special place of healing, and we are proud to have served as co-chairs of this year’s event in support of a hospital that means so much to our community,” added Robin Ansell. Prior to dinner, celebrity auctioneer Paul Zekos of The Zekos Group presented the event’s live auction and fund-a-need. 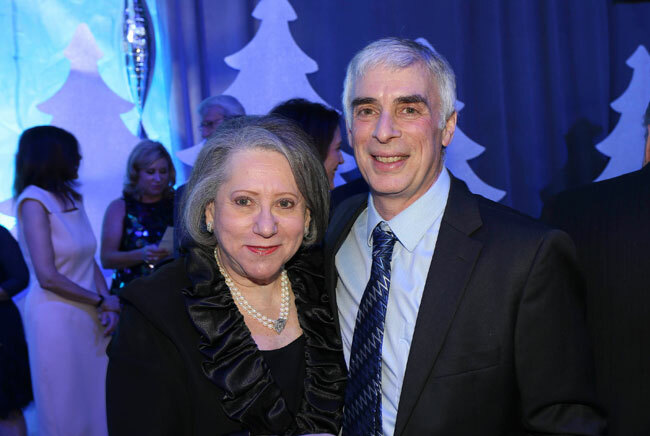 As he prepared for the fund-a-need, longtime Miriam philanthropist Suzanne Gilstein announced a challenge to match all donations at the $2500, $1,000 and $500 levels, up to a total of $100,000. Inspired by Suzanne’s generosity, guests met the challenge, raising their bid numbers high and often. 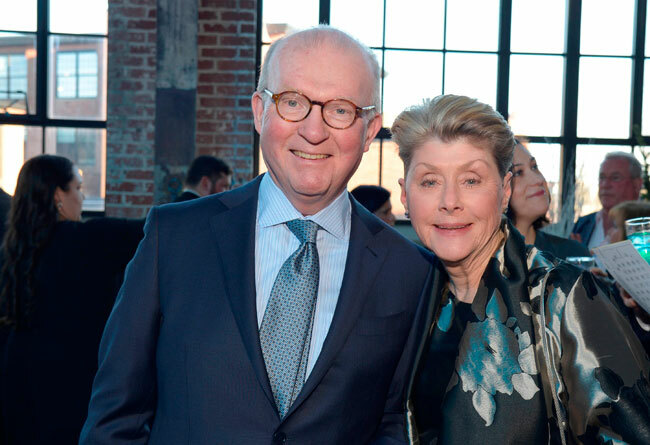 Longtime Miriam Hospital philanthropist Suzanne Gilstein (left) and Howard P. Safran, MD, chief of hematology/oncology at the Lifespan Cancer Institute at Rhode Island, The Miriam and Newport hospitals (right). Prior to the event’s fund-a-need, Suzanne announced a challenge to match all donations at the $2,500, $1,000 and $500 levels, up to a total of $100,000. After the evening program concluded, guests danced to the sounds of The Sweetbeats Band. The Miriam Hospital extends its thanks and appreciation to Experience the Northern Lights presenting sponsors Amica Mutual Insurance Co. and University Orthopedics; leadership donor Amica Companies Foundation; platinum sponsors Amaral Revite General Contractors and Med Tech Ambulance Service, and the many others whose generosity made the event possible. 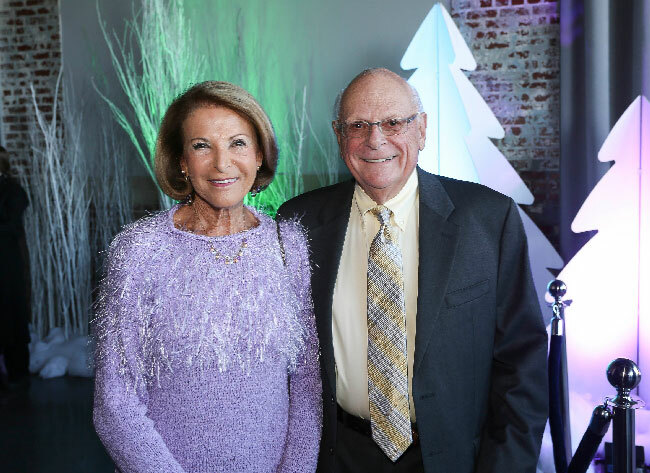 Stuart and Samara Feldman at The Miriam Hospital’s 2018 gala and auction, Experience the Northern Lights. Deeply committed to The Miriam, Stuart is a member of The Miriam Hospital Foundation Board of Trustees. Left to right: Jackie Ignall, Samara Feldman, Elizabeth Greenberg and Mora Babineau enjoy Experience the Northern Lights. Left to right: Nat Harris, Jennifer Quigley-Harris, and Kate Locouture. The 2016 Ocean State BBQ Festival state champion pit-master, Nat donated an authentic steelyard barbecue with live entertainment for 50 to the event’s auction in conjunction with Dan Levinson. Annette and Jason Grant at The Miriam Hospital’s 2018 gala and auction. Sheri, a Miriam Hospital Governor, and Donald Sweitzer at the WaterFire Arts Center on April 21. For more information, please call (401) 793-2062.